Planning a fabulous destination wedding? If so, don't let the fear of lost luggage hold you back from planning the wedding of your dreams! Avoid this anxiety with our Personalized Beach Theme Acrylic Luggage Tags. 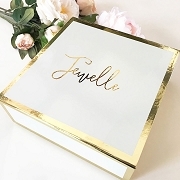 These precious wedding favors will keep your wedding plans safe and sound with their unified customization. 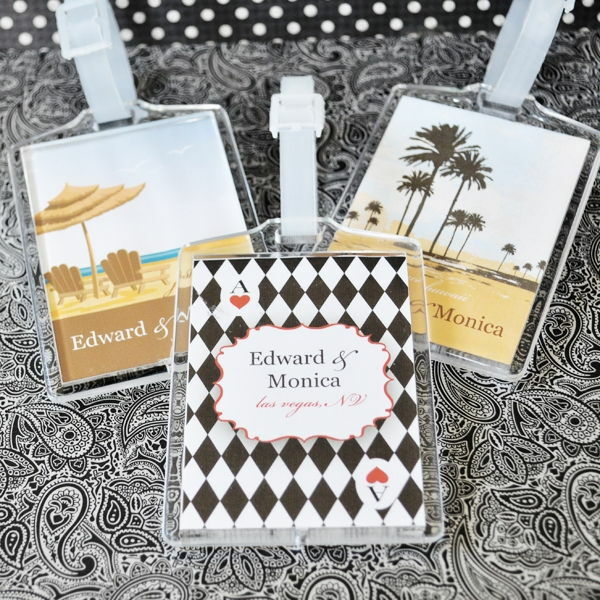 These tags come with custom inserts that allow you to select your favorite design and color combination to match your wedding decor. 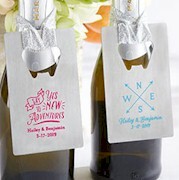 Add your names and dates to make these truly custom tags your guests can keep as memorabilia for years to come! Some assembly required (removing perforated personalized inserts from sheets and placing into luggage tags). Well put together! We love the design and it was also so easy to order. Good quality products. This item is more than expected and at an amazing price. The plastic is not flimsy, very durable. The directions for assembly were clear and easy! 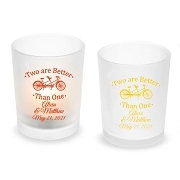 I love this and our guests for our destination Florida wedding will too! 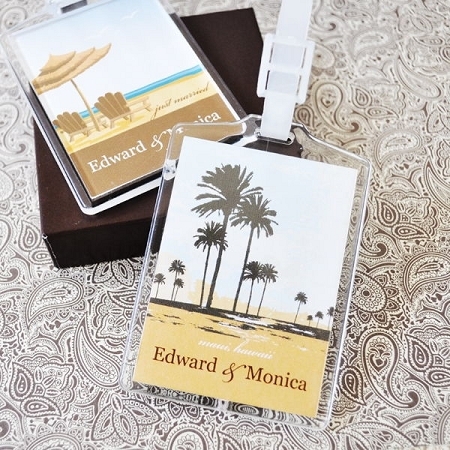 We ordered these luggage tags as favors for our destination wedding, and we were so pleased with the quality of it. They look fantastic! The packaging of the order was phenomenal! I'm a very happy we decided to go with these tags!